Here we go... No more sleeps! 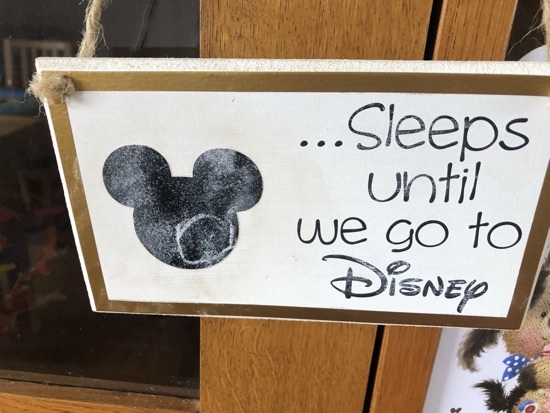 Me - 32, 13th trip to Disney World, lover of all things trip planning especially the dining. DH - 34, Been more times than me but not sure how many, just goes with the flow. DD - 5, 7th trip to Disney World, lover of rides, characters and swimming. So today is technically pre travel day but we're setting off on our journey to Florida so technically it's the beginning. DH was at work this morning so that left DD and I to sort out last minute packing and admin. I did online check in for our flights and completed Alamo skip the counter. 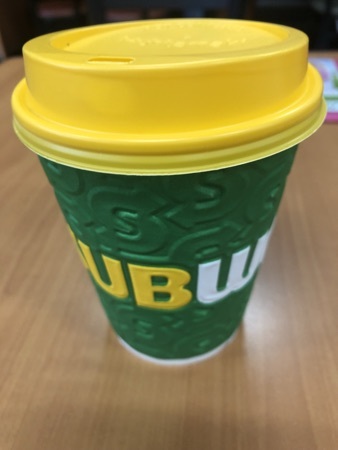 I had a regular caramel latte. 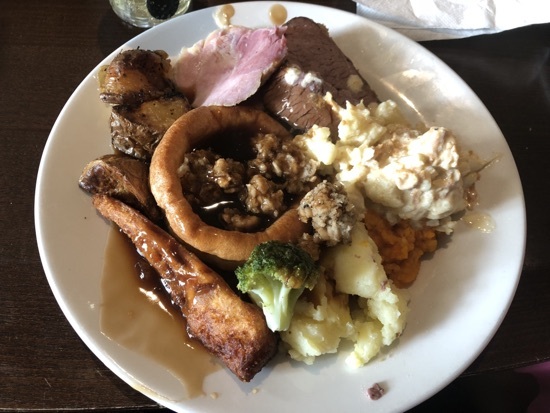 We set off around 1 o'clock and drove down to Manchester, we called in to catch up with some friends near the airport and went to rookery wood farm near Crewe for a carvery tea. 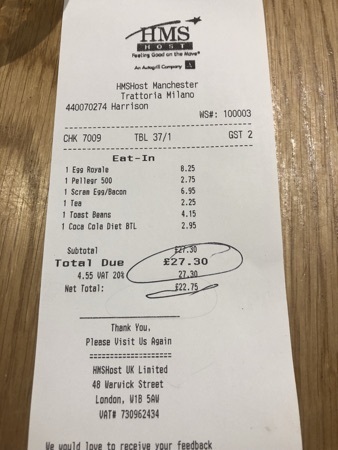 Total was around £25 for 3 drinks, 1 large, 1 standard and 1 kids carvery. Great value and much nicer than Toby carvery which we also love. We left about 7.30 and drove back up towards Manchester airport and checked in at the premier inn north on Runger Lane. Check in was really quick and we were soon in our room for the evening. DH went down to the bar and secured us a pint of Thatchers each at a cost of £8.90 for the pair and I found Shock and awe: The story of electricity on BBC4 to watch. I had a broken nights sleep as usual, I'm just too excited the night before. Woke up at 4.15am and that was is, stayed in bed until our alarms went off at 5.45. We got sorted and contacted the meet and greet company to meet us at 6.30 outside terminal 3. Check in took about 15 minutes as a queue had already started to form. Security was quite busy and one of our bags got pulled for further searches. We decided to head to trattoria Milano for breakfast as we had around 2 and a half hours until our flight. 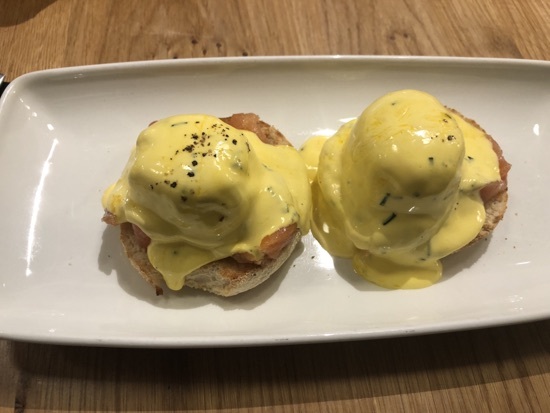 I ordered the eggs royal - 2 poached eggs with hollandaise sauce and smoked salmon on toasted muffins. This was really good, one of the eggs was over poached and no longer runny but the other was perfect. This cost £8.25 and I had it with a sparkling water. 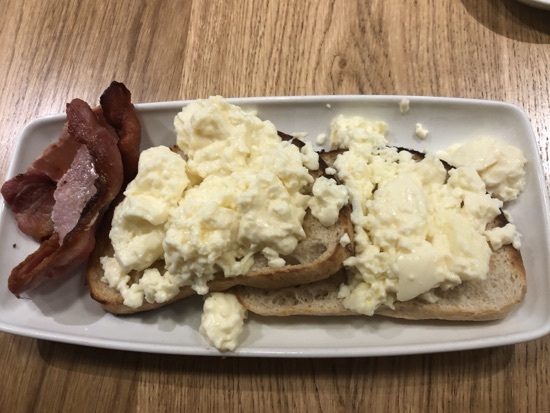 DH had the scrambled eggs and bacon on toast, he thought it was ok, the eggs were abit pale looking and didn't taste of much, this was £6.95 and he had this with a cup of tea £2.25. 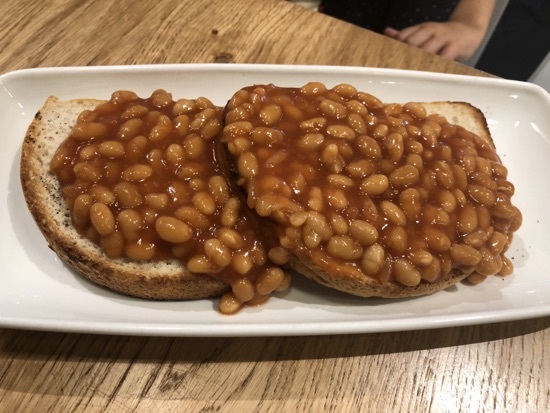 DD has the beans on toast, this was a huge portion and managed half of it, this was £4.15 and she also had a Diet Coke. 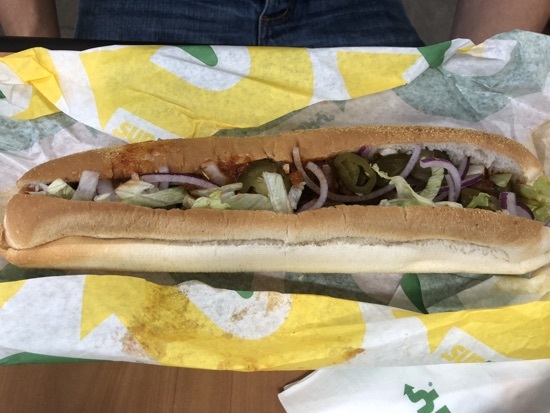 Our service was relatively quick here and the servers were really friendly but lots of people around us were complaining about long waits for food and wrong/missing items. Total cost was £27.30. 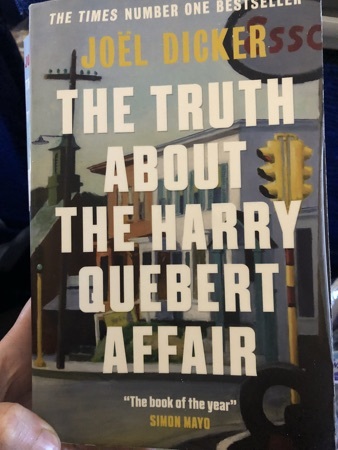 We boarded our flight to Heathrow and took off a little early, flight time was 35 minutes and we landed ahead of schedule, we met a DIBB family in the row across the aisle from us who were doing the same route as us, it was great talking to them  if it was you please let me know I forgot to ask your name! And hope you have an amazing holiday! The transfer from terminal 5 to terminal 3 was really straight forward, the signs were clear and we boarded the bus with no wait, we arrived at terminal 3 into an empty security area and were through in no time. We were feeling abit peckish and after a look in a couple of shops we headed over to EAT. 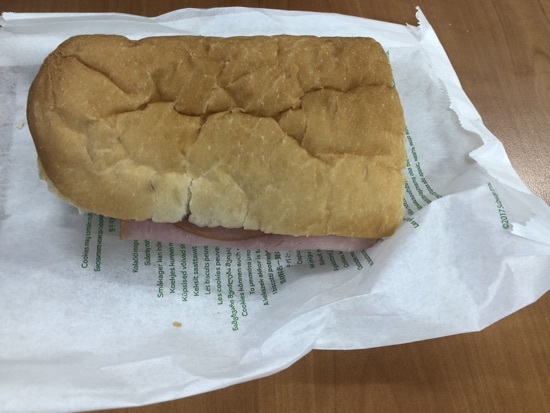 to grab some sandwiches. 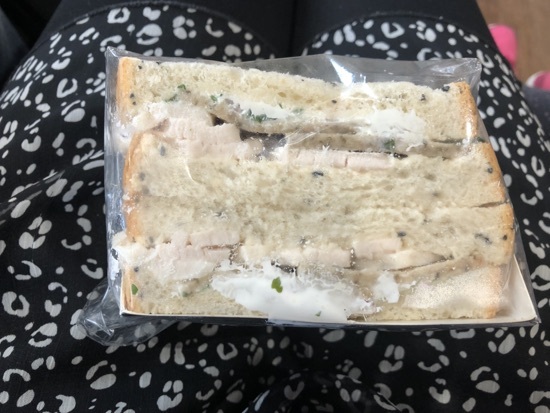 DH had a turkey, pork and stuffing sandwich which he really enjoyed, there was loads of filling in it and it tasted really good. I had a New York pastrami sandwich, this had pastrami, cheese, mustard mayo, sauerkraut and gherkin. 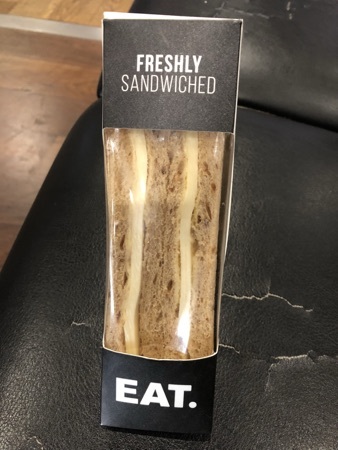 This was delicious, best sandwich I've had in a while, again lots of filling! 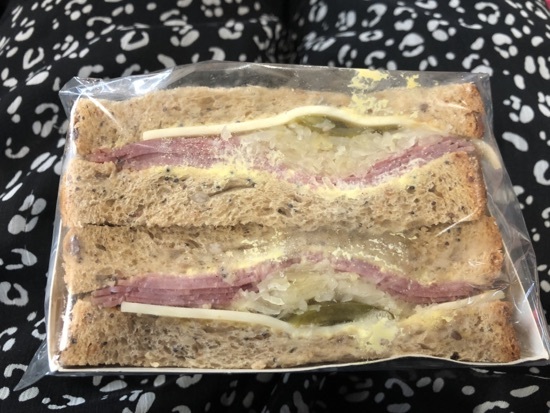 Dd had a kids cheese sandwich, the cheese was quite strong which isn't ideal for kids but she ate half of it and DH finished off the other half. Total for these came to about £11. Quite expensive for sandwiches but there were really nice. We boarded the plane and were delayed taking off by about an hour due to them struggling to be able to fit all the bags on the plane. 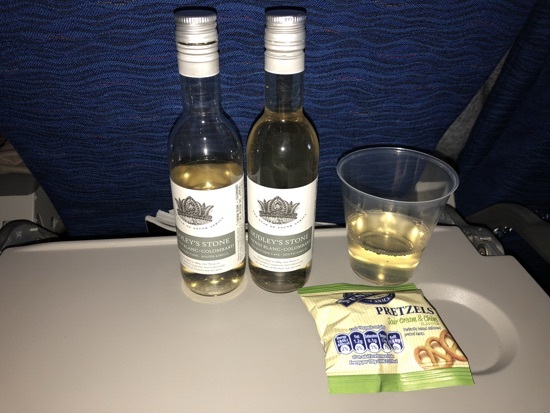 Shortly after take off they came round with the drink and pretzel service, I requested a white wine and the lovely cabin crew gave me 2 bottles. 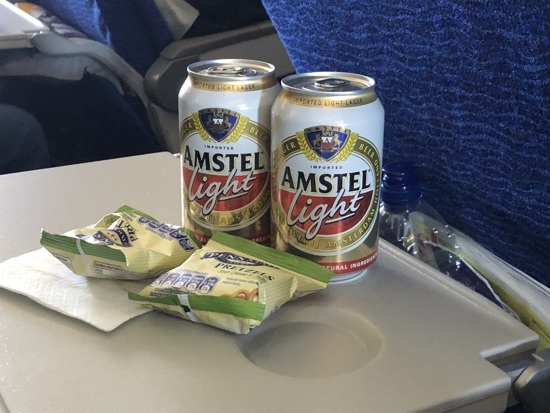 Not to be out done DH asked for a couple of Amstel beers. Dd had a small can of coke. 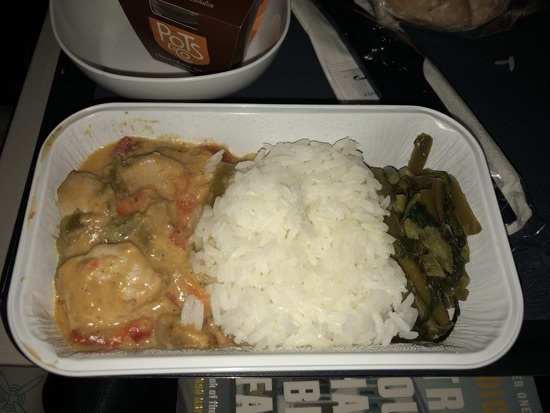 DH also had he curry but wasn't offered a drink with his meal, there was a bottle of water on the tray which I suspect was the intended drink. Dd has the cheesy pasta and wasn't interested in the meal, saying she wasn't hungry but managed the chocolate dessert! I read my book most of the time, highly recommend this book, it had me gripped from start to finish! 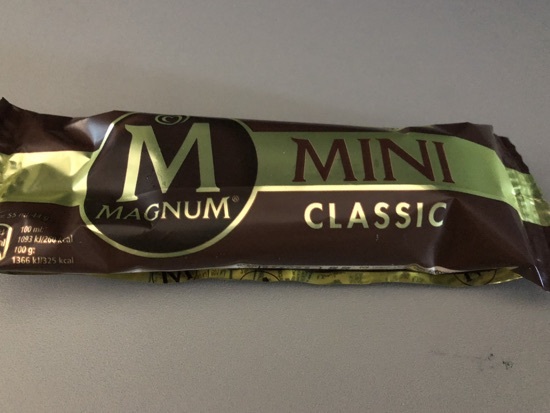 About half way through the flight they came round with a mini magnum each which was nice, DD was asleep by this point and remained this was for a couple of hours. 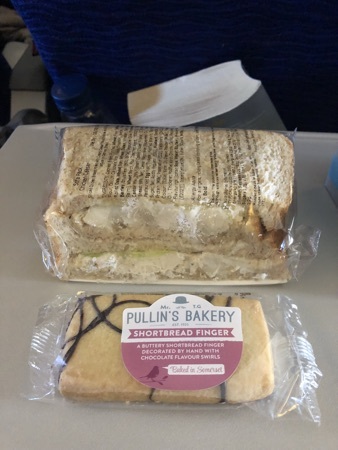 About an hour and a half before landing the cabin crew came round with a chicken Caesar sandwich and a chortle was finger, the sandwich was lovely but I didn't fancy the shortbread. I had this with an orange juice. 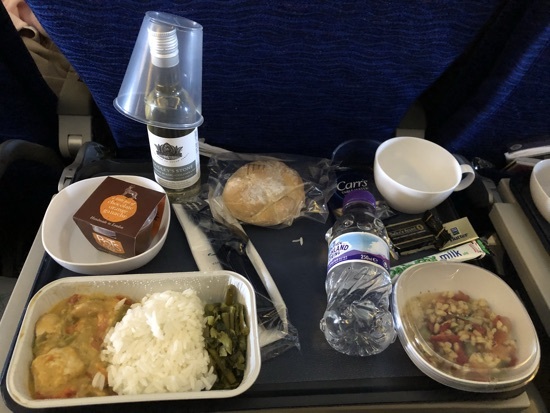 Shortly before landing one of the cabin crew came round telling everyone they needed to fill in a landing card each, several people questioned this which she was insistent on. I did point out we'd never had to do one each before and it does state on the actual piece of paper one per family but she was having none of it and was borderline rude about it. Shame as she was the only rude member of staff we came across. We walked out of arrivals and didn't even need the landing card. 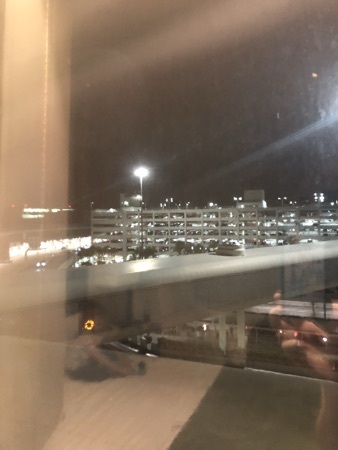 We took the lift up to the second floor and checked into the Miami airport hotel, we've got a room with 2 double beds and not the best view in the world which will do for the night, I expect to be up at the crack of dawn in the morning, alarms set for 4am for a quick start up to Orlando but I doubt we'll need the alarm! 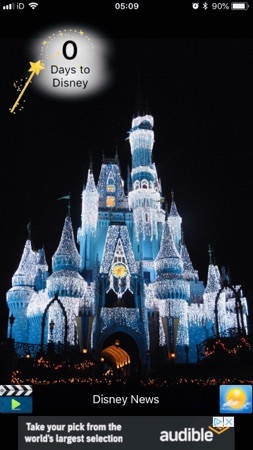 5-0, 5-0, off to Disney we go! 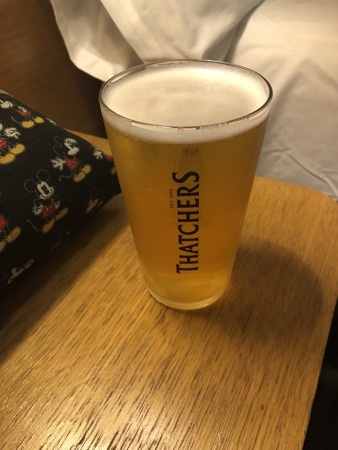 New Photo Added by missdopey - 18 Aug 18 2:02 AM.